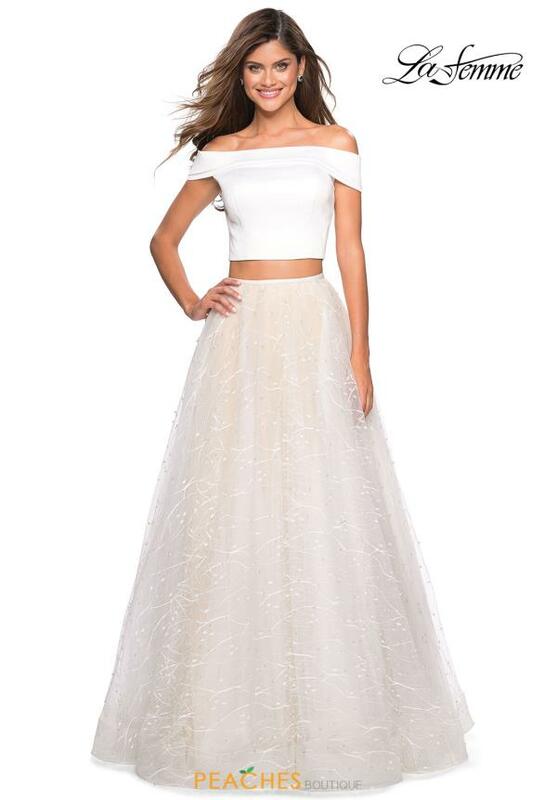 Have all eyes on you in this marvelous prom dress 27478 at your upcoming special event. Features a fitted crop top with a classy off the shoulder neckline. 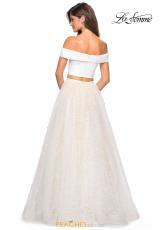 This beautiful gown is paired with a long a line skirt that is embellished with sparkling detailing all throughout. Shop for this dress and more at Peaches Boutique.